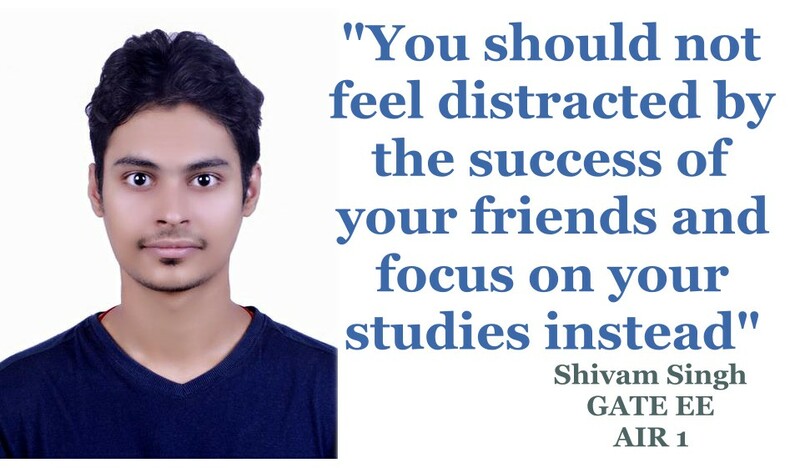 Shivam Singh from Patna, Bihar was at the crossroads when he had to decide between campus placement with a reputed company after his engineering degree from NIT (National Institute of Technology) Raipur and GATE (Graduate Admission Test of Engineering) preparation last year. Although, he received a placement in the company with an annual CTC close to Rs. 5.5 lakh per annum, he decided to go in for a strict diet of preparation and boarded a flight to Delhi. “I couldn’t score well in my last GATE attempt in 2016 and I had the option to either continue preparation while taking up a job or go straight away for preparation. Leaving behind the job offered to me in Bhubaneswar, I decided to devote all my time to study hard and crack GATE 2017 with a good rank,” said Singh exuberantly. Talking about his packed schedule in Delhi, Singh said that most of his day was spent attending classes and on self-study. “I was determined to complete my course and revision by the month of January so that I would have enough time to solve test series. This is what helped me the most in cracking the examination with good marks,” added Singh. Singh got 81.25 marks, which amounted to a score of 1000 in the GATE examination out of 1000 after normalisation. “Instead of making short notes from the overall notes, I decided to make notes of my mistakes committed in test series. It gave me adequate confidence while solving the questions at the examination,” said Singh. Singh was confident of getting a good rank this year and pointed out that he was expecting an AIR (All India Rank) under 100. Talking about his motivation while preparing for GATE in Delhi, Singh pointed out the immense contribution of his father. “My father is a Civil Engineer by profession and he always motivated me during my studies to do well and rank better in GATE for a better future. It helped me keep my focus solely on my studies without looking for other options while preparing,” said Singh. Going by his rank, Singh is confident of getting a good position in any of the Maharatna PSU (Public Service Undertaking) companies across the country. “I have already applied to quite a few of these companies and I am waiting for a positive response from them,” said Singh. Giving a piece of advice to the future GATE aspirants, Singh said that they should not lose heart and focus on their studies. “There might be times when you will feel frustrated and lag at your preparation. This is the time you should not feel distracted by the success of your friends and focus on your studies instead,” concluded Singh.